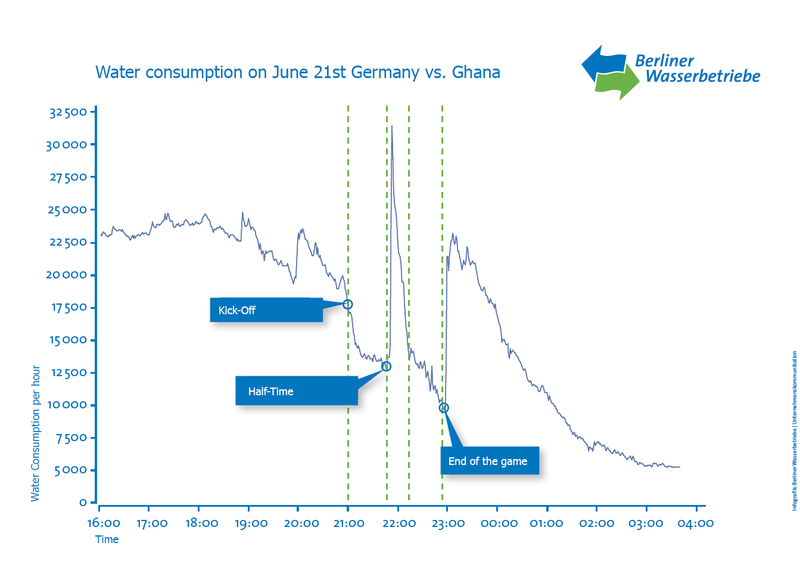 Water consumption peaked at an estimated 31,300 gallons during half time of the last Germany World Cup game in Berlin. The past record-setting winter taught us just how challenging cold weather can be. Temperatures were cold enough to freeze over 90 percent of the Great Lakes and large sections of Niagara Falls. Polar blasts impacted communities across the nation with record breaking temperatures, frozen pipes and ruptured water mains. Freezing temperatures for extended periods of time expand the typical frost line. Instrumentation and pipes installed below the frost line are less susceptible to damage caused by freezing. Mission recommends adding cold weather precautions to your maintenance schedule before each winter. This way you have plenty of time to assess damage from the past winter and make necessary equipment changes. Below is a list of considerations. Ice covers 90 percent of the Great Lakes on March 6 of this year. Photo: Terra Satellite/NASA/NOAA. Mission RTUs often include transducers to measure pressure, tank levels and other data. They are sensitive instruments that are easily damaged. The smart end of a pressure transducer is typically a piezoelectric disk or crystal protected by a membrane. Pressure exerted on the crystal creates an electrical signal. The same freezing water that sinks large ships also exerts thousands of pounds of pressure which can crush these fragile components. An in-line, or non-submersible transducer is generally plumbed so it is not affected by significant water flow. This leaves the pipe stub near the device vulnerable to freezing. The transducer cannot sense a water pressure change if water in the pipe freezes. The best solution is to install the transducer below the frost line and insulate the pipes. Heat tape can be added where the pipe is most vulnerable to freezing. Another solution is to add an oil buffer to the stagnant liquid-filled pipes. This can be accomplished by installing a physical barrier between the water and the transducer. The Isolation Gland from Optimum Oilfield Instrumentation is an isolation system with a three part barrier between the measuring device and the media to be measured. Water pressure pushes against the grease-filled input side of the device. This transmits the force to the bladder, which diffuses the pressure through the oil to the transducer. The photo above shows evidence of a frozen transducer on Supergraph. The flat line on the left of the graph is where the small aperture of the transducer sealed shut as it froze. It is likely the gradual drop is a small expansion in the volume of the membrane cavity that occurred as the surrounding structure shrunk during cooling while the water inside remained in liquid form. The sharp rise on the graph is the increased pressure on the transducer membrane as the trapped water in the cavity expanded to the freezing point. The transducer then failed when pressure on the membrane exceeded tolerance. Even submersible transducers are vulnerable to freeze-related problems. The top layer of water in a tank can freeze, which can cause the transducer cable to get stuck in the ice. The transducer will rise when the tank level rises, but the stuck cable will prevent the transducer from sensing tank level changes. When the water level drops, the weight of the self-supporting ice can sever the transducer at either end of the cable. The best solution is to eliminate ice altogether. Placing a mixer or bubbler inside a tank prevents ice buildup by circulating the water. Heaters can be installed on rain tipping buckets to prevent ice and snow accumulation. However, natural snow melt is a more accurate way to measure river flow, inflow and infiltration. Runtime vs. Rainfall graph data is more accurate when the bucket is not heated. Regardless, rain tipping buckets should be on the list of items to check when performing seasonal maintenance. Mission RTUs include an on-board temperature sensor. The Mission system can send an alarm based on that temperature. This temperature is not an exact match to the temperature outside of the box. However, it is a helpful way to alert you to hot or cold conditions. Battery capacity is reduced by cold temperatures. Mission recommends conducting a battery test at least twice a year to ensure there is enough battery capacity to power the RTU during a power outage. Remove AC power from the RTU for 5 minutes, and place a voltmeter on the battery leads. The voltage should remain around 12 VDC. A solar RTU monitors rainfall on top of a building in Springfield, MO. Photo: City of Springfield, MO. Solar capacity is compromised by the shorter days of winter and the lower angle of the sun.The angle of the solar panel may need to be adjusted seasonally. However, adjustments may not be necessary if the panel is properly sized and set for winter conditions. Make sure the panel faces the sun as much as possible to absorb maximum sunlight. The angle of the solar panel should be steep enough to prevent snow accumulation. Snow and dirt on the solar panel also reduces the efficiency of the panel. Trees may need to be trimmed in the summer. It is always best to plan ahead and service your equipment before extreme weather arrives. Mission technical staff is more than happy to answer any questions if you encounter unusual weather conditions. For additional information on seasonal maintenance, refer to our Spring Cleaning/Fall Fix-It document. Hot steel cools on a conveyor. Photo: jordachelr. required to produce one ton of steel. Nucor Corporation is the largest U.S. steel producer with a production capacity of over 27 million tons. The Nucor steel mill in Crawfordsville, Indiana draws water from five remotely controlled wells fed through a pipeline 10 miles away that supplies an onsite lagoon. The mill uses M800 RTUs, Tank and Well control (analog-to-digital) and digital intertie (digital-to-relay) to monitor the lagoon, control water flow and limit pump operation. This ensures a consistent water supply which is crucial for production. Steve Long is the facilities electrician at the Crawfordsville plant. He manages electrical equipment for water treatment, input plant water, offsite wells, potable wells and the sewer system. Long and his co-workers use the Mission system to automatically replenish the lagoon with well water. Analog readings at the lagoon trigger commands that activate and deactivate pumps via on-board relay outputs. The system is designed to ensure the pipeline is never overburdened by too many pumps running concurrently. "We only want two pumps running at the same time - three at the most - because there are pressure restrictions on the waterline," explains Long. A digital input on the Well 1 RTU monitors the status of the well pump. The normal state of the input is: not running. When the pump starts running, the digital input switch closes. The digital input state change signals an output relay to close at the Well 2 RTU. The output relay at Well 2 is connected to a lockout relay which prevents the pump from running when it is closed. When the pump at Well 1 runs, the pump at Well 2 will not run. Conversely, if Well 2 pump runs, the pump at Well 1 will not. Mill operators check pump status and track system activity in real-time through the web portal and Real-Time Viewer (RTV) on an industrial touchscreen PC installed with the Mission system. The RTV displays data from M800 RTUs in a "control room" type of environment. This display mimics the company's previous control system interface. Nucor's saved desktop view makes it easy for personnel to view the same windows each time the application is launched. Operators view the Mission web portal or RTV with a touchscreen PC mounted on the control cabinet door. Photo: Jim Grudzinski/BL Anderson. mounted on the outside of the control panel. Nucor personnel say they are pleased with the transparency they have with the RTV software application and web portal access. "We have a lot more visibility with the wells than we did with the previous system," Long explains. "It's nice to be able to see what's going on." Each Nucor well has a flow meter monitored by the Mission system. Personnel track water loss and detect pipe leaks through the Flow report. Flow data is downloaded into a spreadsheet for comparative studies or viewed in graphical or tabular formats. This system transparency has improved the bottom line at the Nucor steel mill through proactive management. Authorities have a difficult time tracking illegal drug use since addicts are rarely forthcoming when surveyed about their habits. This misinformation makes it tough for authorities to allocate drug enforcement resources to specific geographic regions. Sewer epidemiology may soon provide a more accurate way to benchmark usage rates and assist drug enforcement forecasting. Both legal and illegal drugs are found in our nation's sewer systems, lakes and streams. Their presence is widespread and can be measured by a process called sewer epidemiology. The U.S. Drug Enforcement Administration (DEA) has reported 25 illegal drugs currently found in wastewater, surface waters, drinking water, sewage sludge and sewage biosolids. The top four include cocaine, methamphetamine, heroine and tetrahydrocannabinol (THC). Drug metabolites in sewers have only recently been used to determine actual drug use by a population. A 2012 study conducted by a group of European researchers is the first full scale attempt to quantify geographic area drug usage by measuring drug metabolites in a municipal sewer system. Researchers quantified the drugs of choice by analyzing sewage for urinary biomarkers in 19 European cities over a one week period of time. Raw 24-hour composite sewage samples were collected and measured for molecular traces of cocaine, ecstasy, methamphetamine and cannabis. Estimated consumption rates (mean � SD, mg/day/1,000 people) of illicit drugs in Milan, Lugano, and London. Source: http://www.ncbi.nlm.nih.gov. The load of each substance was back-calculated from measured concentrations, giving officials a per capita usage rate. Lab results revealed a higher prevalence of cocaine in Western and Central Europe. Traces of ecstasy were higher in Dutch cities, Antwerp and London. The cities of Helsinki, Turku, Oslo and Budweis had higher amounts of methamphetamine. Cannabis was consistently found in the sewer systems of all 19 European cities. Roberto Fanelli, Italian sewer epidemiology pioneer and chair of the Environmental Health Department at Mario Negri Institute for Pharmacological Research is an advocate of drug profiling in sewers. "In a few days you can determine how much of a drug has been used in a given town," explains Fanelli. He insists the sewer quantification technique has many potential applications. U.S. researchers have seen similar results. In 2008, scientists from Oregon State University, the University of Washington and McGill University launched a less comprehensive study of 96 Oregon communities by testing wastewater for evidence of methamphetamine, cocaine and ecstasy. Equal levels of methamphetamine were found in all cities tested, despite popular belief of higher methamphetamine usage in rural areas. Traces of BZE (Benzoylecgonine, a cocaine metabolite) and 3,4-methylenedioxymethamphetamine (MDMA) were higher in urban areas. Researchers quantified their results per city based on a drug "index load" or average milligrams per person per day of a particular substance. Prior to the metabolite study, researchers quantified illicit drug use from data gathered by mortality statistics and random surveys. Will our nation's sewers serve as the future benchmark used by drug profilers? Scientists today are more confident in sewer epidemiology analytics to quantify drug use than in the past. Molecular traces of individual drugs can be accurately identified and quantified on a per-capita basis with allowances made for higher drug levels present from drug traffickers and producers. Wastewater drug profiling data increases the accuracy of data derived from random surveys of a population, medical records and drug production statistics. It can be done in real-time and on a daily basis. European scientists may welcome sewer drug profiling in their part of the world, but are cautiously optimistic on how it will be received in the United States. Kevin Thomas, ecotoxicologist at the Norwegian Institute for Water Research in Oslo, Norway and lead author of the 19 city sewer study says U.S. adoption will be difficult. "You have a lot of lawyers," he explains. According to Leo Beletsky, Assistant Professor of Law at Northeastern University, wastewater drug profiling has never been litigated in the U.S. Beletsky says this type of testing could pose a Fourth Amendment concern and challenge reasonable expectation of privacy. Fourth Amendment arguments have not held up when drug enforcement officers have raided the trash of a suspect. The same principle could apply to municipal sewers according to Beletsky. "When you flush your toilet, you may be waving your privacy rights," says Beletsky. Site visits and routine maintenance are necessary to keep equipment operating smoothly. When an RTU is in Service Mode, alarm callouts are suppressed for one hour. This prevents unnecessary callouts to your coworkers while you perform maintenance at the site. The system continues to record the state of the input on the web portal to maintain a history of input state changes. The Mission RTU can be placed in Service Mode by keying the unit with your electronic key. With recent enhancements, Service Mode can now be visually confirmed by a light or other indicator. Mission engineers added the new Service Mode Relay after receiving several requests from customers. The relay feature allows users to connect a light to an on-board relay that is activated by the key reader. When Service Mode is activated, the light turns on indicating the RTU is in Service Mode. The red light under the key reader illuminates when the RTU is in Service Mode. Photo: Geauga County DWR. Geauga County Department of Water Resources (DWR) in Ohio uses Service Mode Relay on each of their 37 lift stations. Mike Kurzinger, network administrator for Geauga County DWR says they had difficulties with Service Mode when more than one person was working at the site. "The field guys never knew if the RTU was in Service Mode or not because there was no visual indication," explains Kurzinger. If a second person did not know the unit was already in Service Mode and keyed the unit, it would be restored to normal Operation Mode. Alarm callouts were then dispatched if contacts switched to the off-normal position. "When this happened at two o'clock in the morning, other operators and supervisors on the alarm callout list weren't too happy," says Kurzinger. Geauga County DWR field operators and supervisors say they are pleased with the new feature. "The field guys really like it," explains Kurzinger. "They definitely know when an RTU is in Service Mode now. There's no question about it. Select the relay being used for Service Mode Relay via the drop down menu. The RTUs are no longer accidentally placed into normal operating mode while work is being done at the site." Click here for a Service Mode Relay wiring diagram. You can enable the Service Mode Relay feature by going to Setup / Unit Maint / Edit Device Parameters: Service Mode Relay.